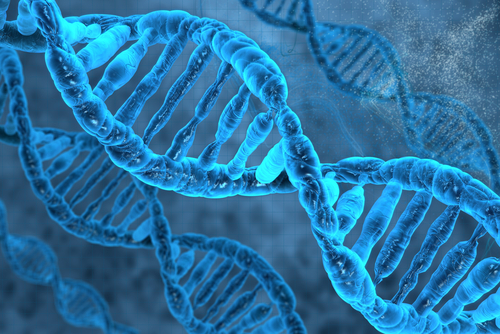 How much of the overall human genome is actually functional? Well, this has been a matter of hot debate since 2012 when the ENCODE scientists announced their estimate of ~80% functionality for the human genome (ENCODE: The human encyclopaedia, Sept 5, 2012). This initial estimate was strongly challenged and even mocked by numerous scientists (Link). Then, a couple years later in researchers at the University of Oxford, UK, concluded that only about 8.2% of the human genome is shaped by natural selection. The rest, they argued, is non-functional (Rands, 2014). While the 80% figure did seem high, the 8% figure seems a bit low to a number of scientists as well (Link). Patrik D’haeseleer, a computational biologist at Lawrence Livermore National Laboratory, California, tweeted “only between 8% and 80% of human #genome is functional. Glad we’ve got that sorted out.” Of course, at the heart of the issue are differing definitions of “function.” Erick Loomis, an epigeneticist at Imperial College London, tweeted: Maybe we should stop using ‘functional’ if we can’t find a common definition.” (Link). 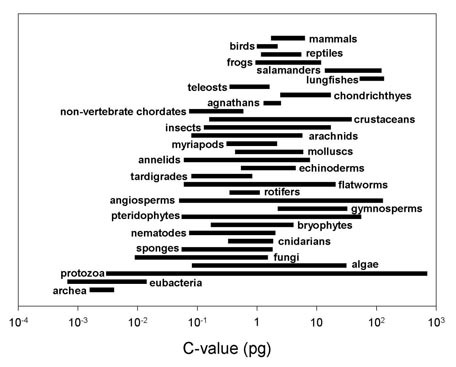 The lower bound estimate that 5% of the human genome has been under evolutionary constraint was based on the excess conservation observed in mammalian alignments relative to a neutral reference (typically ancestral repeats, small introns, or fourfold degenerate codon positions). However, estimates that incorporate alternate references, shape-based constraint, evolutionary turnover, or lineage-specific constraint each suggests roughly two to three times more constraint than previously (12-15%), and their union might be even larger as they each correct different aspects of alignment-based excess constraint…. Although still weakly powered, human population studies suggest that an additional 4-11% of the genome may be under lineage-specific constraint after specifically excluding protein-coding regions. This means that, at minimum, between 16% to 26% of the genome is likely to be functionally constrained to one degree or another. And, of course, this means that the likely detrimental mutation rate is at least four times as high as the Ud = 2.2 rate that Keightley suggested in 2012 (and some would argue even higher) – i.e., at least 8.8 detrimental mutations per offspring per generation. This would, of course, imply a necessary reproductive rate of over 13,200 offspring per woman per generation just for natural selection to keep up with and effectively eliminate all these detrimental mutations (and a necessary death rate of over 99.99% per generation). (Link). So, no wonder this is such a hot button issue for neo-Darwinists. A whole lot is riding on how much of the human genome is actually functional. And, who knows, it may turn out that the “c-value enigma” and the answer to why many functional elements within the human genome are not significantly constrained by natural selection is due, at least in part, to various forms of redundancy of functional elements within the genome. In other words, while various sections of non-coding DNA may be functional, there may also be other redundant copies of these functional sequences or various complex networks capable of maintaining a given function within the genome. This would mean, of course, that any one particular functional sequence within such a redundant genome could sustain numerous mutations without natural selection taking significant notice. Not until the functional redundancy was depleted within the genome would there be a significant functional deficit for the organism and a need for natural selection to step up to the plate. The approach [where functionality is only based on homologous or “constrained” sequences between various species or tests that measure immediate “loss of function” tests – as in, for example, “knock out mice” where various genetic segments are deleted from the mouse genome] may also miss elements whose phenotypes occur only in rare cells or specific environmental contexts, or whose effects are too subtle to detect with current assays. Loss-of-function tests can also be buffered by functional redundancy, such that double or triple disruptions are required for a phenotypic consequence. Consistent with redundant, contextual, or subtle functions, the deletion of large and highly conserved genomic segments sometimes has no discernible organismal phenotype and seemingly debilitating mutations in genes thought to be indispensible have been found in the human population. Over the past 10 to 20 years, research has shown that instructional regions outside the protein-coding region are important for regulating when genes are turned on and off. Now we’re finding that additional copies of these genetic instructions are important for maintaining stable gene function even in a variable environment, so that genes produce the right output for organisms to develop normally. (Frankel, et. al., 2010). So, Stern and his team put Levine’s hypothesis to the test by studying a fruit fly gene that codes for the production of tiny hair-like projections on the insect’s body, which are called trichomes. “The gene, known as shavenbaby, takes its name from the fact that flies with a mutated copy of the gene are nearly hairless. 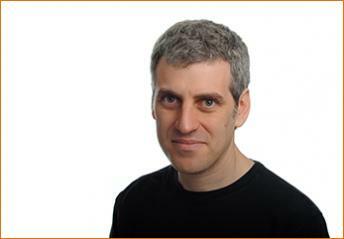 Stern previously led a research effort that identified three primary enhancers for shavenbaby. In the new research, his team discovered two shadow enhancers for shavenbaby, located more than 50,000 base pairs away from the gene. Of course, the very existence of genetic buffering, and the functional redundancies required for it, presents a paradox in light of the evolutionary concepts. On one hand, for genetic buffering to take place there is a necessity for redundancies of gene function. Yet, on the other hand, such redundancies are clearly unstable in the face of natural selection and are therefore unlikely to be found in extensively evolved genomes (Link). 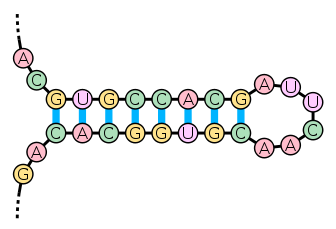 Why then does so much genetic buffering continue to exist within the human genome? – if natural selection does in fact destroy such buffering redundancy over relatively short periods of time? Yet, extensive redundancy or genetic “buffering” does still exist within the human genome. And this is only the tip of the iceberg. “The study of DNA and genetics is beginning to resemble particle physics. Scientists continually find new layers of organization and ever more detailed relationships.” (Link). Our findings provide an additional layer of support for previous reports advancing that >20% of the human genome is subjected to evolutionary selection while suggesting that additional evidence for function can be uncovered through careful investigation of analytically involute higher-order RNA structures. It is well known that the folding of RNA molecules into the stem-loop structure requires base pair matching in the stem part of the molecule, and mutations occurring to one segment of the stem part will disrupt the matching, and therefore, have a deleterious effect on the folding and stability of the molecule. It has been observed that mutations in the complementary segment can rescind the deleterious effect by mutating into a base pair that matches the already mutated base, thus recovering the fitness of the original molecule (Kelley et al., 2000; Wilke et al., 2003). As the diagram helps illustrate, if a base on the top RNA sequence mutates, a base on the bottom can also mutate to match it again, which maintains or “conserves” the same secondary structure – even though the sequence itself is no longer conserved. Considering such discoveries, it is very likely that the functionality of the human genome is well over 8.2% – perhaps to the point where the ENCODE scientists weren’t so crazy after all? Does anyone know of any mutations in the human genome that have produced an improvement in the human body? It seems to me that all mutations are detrimental and produce defects, disease, and perhaps death. Whether “functionality” is 8% or 80%, does it matter? What can “science” really tell us about any of these important questions if respectable “scientists” cannot come any closer in their conclusions? It would seem far more reasonable to assume that the human genome started out in perfect condition circa 6,000 years ago and has suffered significant degradation ever since. Do you suppose this degradation might have something to do with the sin problem? How does one expect progressive evolution from primitive to complex under such conditions? It would be nice if “science” could be a little more precise in its conclusions. Some promote 3 billion years from the “Big Bang”, while others adhere to 15 billion or more. Oh, well, what is a billion years here or there? What is the difference between 8% and 80%? Just chalk it up to a rounding error? Well, one thing is clear: this is a very big and very round error. There are in fact a lot of examples of beneficial mutations – that are truly beneficial and not detrimental. However, all of these examples are at a very low level of functional complexity – involving systems that require no more than a few hundred amino acid residues. As far as the detrimental mutation rate, it makes a big difference how much of the human genome is actually functional. This is important because it determines the required minimum reproductive rate needed for natural selection to effectively deal with the detrimental mutation rate. I would be very interested in learning more about these numerous beneficial mutations. It was my understanding that we were discussing the human genome, not the bacterial genome. Obviously, humans have been tinkering with the bacterial genomes for a long time, and made some fascinating discoveries. Humans are now tinkering with the human genome, but generally for the correction of harmful mutations. Even if humans should be successful in improving the human genome over its normal state (and that is a big “if”), this is no proof of naturally occuring evolutionary improvements. Research on E. Coli bacteria, where one can observe billions of organisms over a short period of time, is much different from genetic research on the human genome. Whether or not bacteria can modify mechanisms of processing lactose or citrate, or develop alternate pathways inducing antibiotic resistance is, in my opinion, hardly evolutionary. These simple bacteria will always be bacteria, and are certainly not evolving into higher organisms. They are simply improving their survival. This, in fact, is hardly a good thing for humans. It would be much preferable for humans to mutate and produce mechanisms of bacterial destruction. If some humans would mutate a gene that would selectively destroy harmful bacteria, that would be quite an event! While on the subject of lactase evolution, it should be noted that many humans have mutated into a state of lactase deficiency, thereby being unable to process lactose efficiently. Many of these humans are miserable when consuming dairy products. I think we would hardly label this a positive mutation, although this type of mutation is not nearly as harmful as cancer-producing mutations, or so many other life-shortening mutations. I am still extremely interested in any observed naturally occuring mutation in the human genome which has been found to be beneficial. It was my understanding that we were discussing the human genome, not the bacterial genome. It doesn’t matter. The principles are the same. Obviously, humans have been tinkering with the bacterial genomes for a long time, and made some fascinating discoveries. Humans are now tinkering with the human genome, but generally for the correction of harmful mutations. Even if humans should be successful in improving the human genome over its normal state (and that is a big “if”), this is no proof of naturally occuring evolutionary improvements. Research on E. Coli bacteria, where one can observe billions of organisms over a short period of time, is much different from genetic research on the human genome. Whether or not bacteria can modify mechanisms of processing lactose or citrate, or develop alternate pathways inducing antibiotic resistance is, in my opinion, hardly evolutionary. These simple bacteria will always be bacteria, and are certainly not evolving into higher organisms. They are simply improving their survival. That is the very definition of “evolution” via random mutations and function-based selection that favor survival in various environments. The reason why these bacteria “will always be bacteria” is because of the limits of what the evolutionary mechanism can do when it comes to “levels of functional complexity”. Evolution only works on the lowest rungs of the ladder of functional complexity – i.e., no higher than systems requiring 1000 specifically arranged amino acid residues. This, in fact, is hardly a good thing for humans. It would be much preferable for humans to mutate and produce mechanisms of bacterial destruction. If some humans would mutate a gene that would selectively destroy harmful bacteria, that would be quite an event! Again, everyone agrees that detrimental mutations are far more common than beneficial mutations. -to determine that something is a beneficial mutation one has to demostrate that that gene didn´t exist before (generations back) in the members of that family and must specify when it appeared. -same as above, if one can study the geneaology of that people to show that it is about gaining and not about losing of that specific gene in the other populations. -introduction of the microbe into the blood through rupture in the continuity of the skin by a needle, by-passing the natural defense of an organism (located at every natural orifice and skin) is a violation of the laws of immune system (read Matzinger and also J. Oller). Bacteria form our first barrier defense. Bacteria-bacteria interaction is the main principle in nature. -No, it is called immunization. They are not interchangeable. Long explanation. -the age of the great myth on cholesterol will end soon. Cholesterol on the arteries is a protective mechanism against inflammation. Artherogenesis is a side effect. Statins, agents used to lower the cholesterol are potent antiinflammatory agents… with their side effects. The mutation is clearly unique to this particular family and has clear functionality. It’s seems obvious to me that it is a novel mutation that did not exist in the original ancestral human gene pool. I’m sorry, but how are vaccinations a “violation of the laws of the immune system”? – just because they don’t present antigens through the GI tract? Isn’t that the whole point? The immune system is affected and works regardless of how bacteria or viruses for foreign antigens in general gain entrance into the body (i.e., through the skin or GI tract or respiratory tract, etc.) and generate a response from the immune system. It is for this reason that vaccinations actually work to prevent various illnesses – is it not Dr. B? I wasn’t trying to use the terms “interchangeably”. What I was trying to say is that “immunizations” affect the “immune system” to produce enhanced “immunity” – which seems like a truism to me. After all, isn’t it true that immunizations “educate” the immune system to recognize certain types of antigens as “foreign” and attack them in the future? How is this relevant? The point I was trying to make here is that those who have the HDL mutation (the Apolipoprotein AI-Milano mutation) do in fact have less coronary artery disease, less strokes, and less heart attacks. There’s just no getting around this observation. It’s a real beneficial mutation in humans. Sure, the effects of this mutation are based on a reduction in inflammation via enhanced antioxidant activity, but the results are the same. In most people, free radicals can go unchecked as they grab electrons from lipids that line arterial walls. But for the less than 50 people lucky enough to possess the Milano mutation (the monomeric form with its free sulfhydryl) their mutant apoA-I protein mops up the unpaired electrons from free radicals. This prevents the scavenging of electrons from arterial lipids and therefore prevents a series of reactions that lead to cholesterol deposition and atherosclerosis that follow unchecked inflammation otherwise produced by free radicals. “Apolipoprotein A-IMilano and Apolipoprotein A-IParis exhibit an antioxidant activity distinct from that of wild-type Apolipoprotein A-I,” appears in the journal Biochemistry, 2002, 41 (6), pp. 2089-2096. Our antediluvian ancestors had a genome that I believe far better protected them from disease and injury. Perhaps some of these beneficial mutations that we see today are simply mutations which take us back to the original wild type. It would be amazing if we could obtain DNA from some of the early descendants of Noah and compare it with our own yet these gravesites have thus far eluded us. 1. It developed over billions and billions of years, beginning with the Big Bang, and subsequently refining itself without any guidance and strictly by accident, so that sentient humans ultimately evolved on their own. It was a slow, tedious, uphill road. While some “scientists” have served up some “evidence” to support this, I find it impossible to muster up enough faith to believe it is scientifically true. For one thing, human mutations do not improve the human model, but rather, damage it. 2. God created the human genome in a single day. It was perfect. Flawless. Could not be improved upon. It was created to last forever. Mutations were not part of the original model. Mutations came after Adam and Eve’s disobedience. From that point forward, it was a slow, tedious, downhill road. While Adam and Eve lived circa 9 centuries, what else would you expect if they started with perfect, flawless genomes? However, after the Noah’s Flood, lifespans were sharply decreased. Do you suppose God might have allowed mutations to increase? After all, if He created Adam out of dirt in an afternoon, it would seem a simple matter to increase the mutation rate, don’t you think? “And God saw every thing that he had made, and, behold, it was very good.” Genesis 1:31. I would suggest that calling His creation “very good” was equivalent to calling it perfect. When Jesus was addressed as “Good Master” in Matthew 19:16, He responded, “There is none good but one, that is, God.” So, if God’s creation was perfect to begin with, would we be so bold as to suggest that natural and sporadic mutations might improve that perfect model? Do you suppose God saw the evil of the antediluvians, and decided to shorten human longevity by turning up the mutation rate? Don’t you think that God views bacterial mutation differently than human mutation? Do you even suppose that God might provide for certain bacterial mutations (such as antibiotic resistance)? The ccr5 mutation is posited by “scientists” to have arisen more than 5,000 years ago. That would place this “mutation” squarely in the antediluvian age, if not back to creation itself! Wow, these learned “scientists” must know a lot more about the antediluvians than I do. If, indeed, this “mutation” occurred 6,000 years ago, is it possible that it was actually God’s original model? These ccr5 “scientists” further suggest that this “mutation” was a selective agent in the bubonic plague and smallpox. In order to prove that such a “mutation” indeed had a protective effect against these diseases, and indeed did exist in these survivors, one would expect that these researchers would need to unearth quite a few corpses of survivors and non-survivors and study their genomes. On the other hand, do you suppose that some survivors might have acquired some immunity in one way or another? Do you suppose some were younger, healthier, etc.? Look at Ebola today, with its very high death rate. There are some survivors, however. Would we agree that those survivors might be constitutionally stronger, healthier, etc.? We certainly would not suggest that those victims would mutate in order to achieve some degree of protection, would we? I would suggest that vaccine protection against viral and/or bacterial diseases should NOT be confused with any sort of genetic mutation. These are two entirely different processes. As for articles dealing with “mutations” of atherosclerosis genes, we all know that there are definite genetic predispositions related to numerous genes. Yet, who knows when and which genes mutated? None of these articles offer any hard evidence of such information. Yes, indeed, there are some people who have strong bones, while others have weak ones. However, they all break if enough force is applied. Just because some people escape fractures while in an auto accident is no proof beneficial mutation. However, one might postulate a possibility of harmful mutations occurring many centuries ago, followed by a mutation back to the original one created by God in the first place? I don’t know. I would suggest that there is a lot of bad science out there, and we should be very wary of accepting interpretations, regardless of how eloquently they are produced. For me, the evidence is clear: God created a perfect human genome in His own image, and it has been down hill ever since. I am eagerly awaiting the Restoration, when all those mutant genes are forever discarded. CCR5-Δ32 is a deletion mutation of a gene that has a specific impact on the function of T cells. 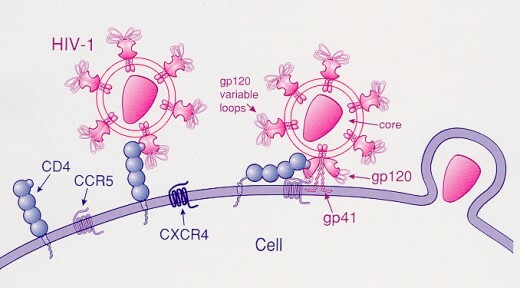 The deleted portion of the CCR5 gene consists of thirty-two base pairs that correspond to the second extracellular loop of the CCR5 receptor; the mutated CCR5 receptor is non-functional and does not allow M-tropic HIV-1 virus entry, thus resulting in infection resistance – exactly how many forms of antibiotic resistance are achieved. There is no problem, statistically, achieving such a mutation – even in a human population. The Milano mutation in the HDL lipoprotein is also based on a single point mutational change (Link). The likely source of this mutation was traced to one man, Giovanni Pomarelli, who lived in the village in the late 18th century and passed it on to his offspring (Link). It is characterized by the replacement of arginine by cysteine at position 173. Statistically, such small mutations are relatively likely to be achieved in a relatively short time in human populations. As far as mutations preventing various bacterial and viral infections, we really don’t need these since the immune system functions just fine based on pre-programmed random mutations and function-based selection within a fairly small “sequence space” of antibody options. Now, I do agree with you that the detrimental mutation rate is the real problem since it significantly dwarfs the beneficial mutation rate and drives the human gene pool as a whole in a downhill direction. However, one should not argue that there are no such things as truly beneficial mutations – even within the human gene pool. There are many such examples in various environments. It only hurts your main position to argue otherwise. I did, however, search for Mr. Giovanni Pomarelli and caught up with him in a news release which suggested that this man, born in 1780, was indeed the source of this mutation, as a number of his current offspring trace their heredity back to him!! No genetic studies needed. Just a wild assumption. For me, I don’t have enough faith for wild assumptions. I continue to believe that in a single afternoon, God created a perfect human genome out of a gob of dirt. The two perfect sets of human genomes had no mutations and needed none, because they were already perfect. Instead of worshipping their Creator with extreme thankfulness, they wandered off and did what He had expressly forbidden. That is when those nasty mutations started. It robbed them of their perfection. In spite of this dreadful mistake, their Creator offered a way out for not only the two guilty parties, but also for all their offspring. He would send His own Son to die an ignominious death to pay the price for such an offense, thus restoring that perfect human genome and simultaneously restoring immortality. What else is necessary to obtain immortality? Nothing more than acceptance of this free gift. Nothing more than a belief in the Creator God and an acceptance of His Son who paid the price for our redemption. What amazes me is that so few accept this free gift. Brilliant scientists continue searching for their own solutions. Ray Kurzweil, a gifted scientist, innovator, and futurist, is searching for his own immortality, which he believes he can achieve once the human race achieves “singularity”. So, he takes loads of vitamins, nutrients, and assorted substances to stay alive long enough to reach this point of immortality. While one can applaud Kurzweil’s earthly accomplishments, he is dreadfully mistaken in his trust in fellow scientists. 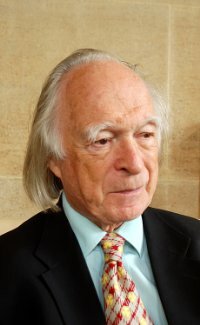 While he is correct that we are heading toward a point of “singularity”, he denies that at that point, human ingenuity will have nothing to do with determining who achieves immortality and who doesn’t. Sean, based on your theory of deleterious mutations outnumbering beneficial ones in humans, when would you predict humans will become extinct on current pace? Also, what large species have become distinct because of deleterious mutations? Please forgive me for posing too many questions. But, did those ancient church records come with genetic mapping? Is it conceivable that a mutation might have occurred in Giovanni’s father, grandfather, etc.? Perhaps his mother, grandmother, etc.? Do you even suppose that the mutation extends back to Noah or his 3 sons? What if this Milano “mutation” isn’t a mutant at all, but rather, someone near Noah mutated and this gene was original? I struggle to see how we can assume these conclusions without church records that are accompanied by complete sets of genomic mapping. As for the question of when the human race will become extinct, might I suggest that it has nothing to do with the human genome? Jesus explained that nobody knows, not even the angels in heaven. However, he also suggested that people will be able to determine seasons as the fig tree demostrates its seasonal changes. Do you see any seasonal changes? At that point, a large segment of the human population will be sublimated regardless of the condition of their genomes. The remainder will have their genomes restored back to the original, with never ever a chance of another mutation. It is highly unlikely that the Milano mutation would have extended much father back in time beyond Giovanni. The reason for this is that if it did exist much farther back in his ancestral line, then many more people would have the mutation. For example, if Noah had it, so would the rest of humanity. The George´s post in other words :). Knowing that deleterious mutations outnumber the beneficial ones in humans let´s calculate the probability of an event. A probability is a way of assigning every event a value between zero and one (0 indicates impossibility and 1 indicates certainty). Thus, P(evol. )= -2, a negative probability which means “null” (that is, 0). Therefore, in probabilistic terms, evolution is impossible. also, mathematically speaking, the “already evolved” human race keeps “evolving” toward its planetary grave. My problem with God is a sentimental one:)). ps. with all my appreciation for your time and yr energy! Hope you are expecting nothing from all this, right? For functionally deleterious mutations yes (given the proper reproductive rate). Now you’re talking about abiogenesis – and I totally agree with you here. There is/was no reason for “nature” to build the first living thing vs. making another amorphous rock or clump of sludge. However, once you have living things, natural selection certainly does become a factor with an ability to act like a preserving force over time (given a sufficient reproductive rate of course). Why wouldn’t natural selection operate in the exact same fashion on an nascent organic molecule as it would on a higher life form? Because natural selection is dependent upon competition between self-replicating systems. Prions are interesting. However, prions don’t really self-replicate themselves starting with random amino acids. Usually the same amino-acid residue sequence is required to already exist in a pre-formed protein before this pre-existing protein can then acquire the 3D prion conformation. The prion simply refolds the pre-existing protein with the same or similar sequence into a new conformational shape. This isn’t like a self-replicating organism where randomly arranged nucleic acid molecules are specifically sequenced by protein-based machinery based on a pre-existing DNA sequence template. In other words, the way prions works is not like replicating a complex mechanical machine from scratch – from a pile of fundamental building blocks. Prions are self-replicating proteins (act as template). Prokaryotes as bacteria are self-reproducing organism (split themselves). Eukaryotes procreate, they need a mate. Which evolutionary laws apply to each of them? If eukaryotes evolved from prokaryotes, why we still have prokaryotes? If mamals evolved from fish, why still have fish? How you explain the “tree of evolution” in the light of darwinian transmutation? I´m asking because, to be honest with you, I have any clue..! Dana, let me say at the outset that I am a committed creationist as is Dr. Sean Pitman. However, I also believe in using good scientific arguments, and your two questions do not imply good scientific thinking. You are essentially asking “How can ancestors live at the same time as their descendants?” Obviously, parents can still be alive during the lifespan of their children. However, perhaps you are asking why, in view of natural selection, ancestors have survived if their descendants were more fit. A Darwinian would respond that the level of fitness depends on what ecological niche you are considering. For example, fish are extremely fit in water, but not on land. On the other hand, most mammals are extremely fit on land, but not very fit in the water. So the Darwinian would argue that fish have survived very nicely in water right up to the present day, but that they gave rise to descendants that evolved certain body parts (e.g. lungs and legs) that enabled them to expand into a new ecological niche, namely land. Please bear in mind that as a creationist, I do not buy into this. I believe that fish were intelligently designed to live in water, while most mammals were intelligently designed to live on land. However, you will not falsify Darwinism by asking such questions because Darwinism does allow ancestors to live at the same time as their supposed evolutionary descendants, albeit in different ecological niches.